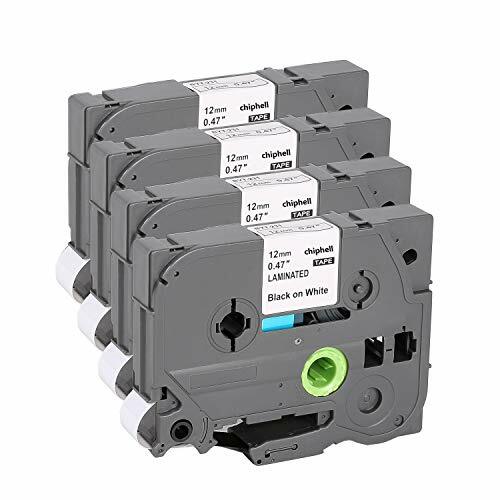 Compatible with most brother machine: PT-D210, PT-H100, PT-H110, PTD400AD, PT-P700, PTD600, PT-1230PC,PT-1890C, PTD600VP, PT-P750W, PT2730VP, PTD450, PT-D400, PT-D200, PT1880C,PT-1880, PT-H500LI, PT2730, PT-1890W, PT-2300, PT-1280SR, PT2030AD, PT-1090, PT-1290, PT-1880W, PT-9600 ,GL-100, GL-H100, PT-300,PT-300B, PT-310, PT-310B, PT-320, PT-330, PT-340, PT-350, PT-4000,PT-520, PT-530, PT-540, PT-550, PT-580C, PT-D200BT, PT-D200DA, PT-D200MA,PT-D200SA, PT-D210BK, PT-D400VP, PT-E100, PT-E300, PT-E300VP, PT-E500, PT-H105, PT-H110, PT-H300, PT-H300LI, PT-P900W, ST-1150, ST-5, PT-D200G, PT-D800W, PT-E110, PT-H100P, PT-H100R, PT-H110BK, P-touch CUBE, Blue, White, Embellish, PT-P900 and all other. Multiple Applications: Ideal high-quality labels for indoor and outdoor use, these labels can be perfectly used in kitchen, home, garden, office, school, industry and laboratory. Labeling everything and making your life easier. If you have any questions about this product by Chiphell, contact us by completing and submitting the form below. If you are looking for a specif part number, please include it with your message.